People often ask, “Can you help my business” and the short answer is “No.” That’s because I don’t work onthe business; I work with you, the business owner. Your business is an inanimate object. It can’t do anything on its own, it requires input from the business owner and the leadership team. They are the ones making the decisions, they are the ones pulling the strings. I don’t work on the business; I work with people who run the business, to help them understand their current situation, to understand the possibilities for their business, to clarify their vision and goals so that they can lead their business to grow and thrive. 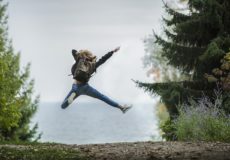 The mechanics of coaching are similar in every situation, but the programs and sessions are tailored to each business owner’s specific needs, wants, and goals. What does a coach bring to the table? Established in 2004, iB4e is a small consulting firm based in Atlanta specializing in Organizational Change and Business Transformation. iB4e has worked with companies across the United States and global companies with offices in England, Germany, Mexico, Denmark, and France. One aspect of our consulting engagements is the coaching of leaders – from front-line managers to executives – on becoming stronger leaders. iB4e helps business leaders clarify their strategic objectives, develop long-term goals, effective communications, and building employee teams. One aspect of our consulting engagements is the coaching of company’s leaders – from front-line managers to C-level executives. 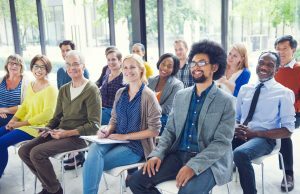 iB4e helps business leaders develop their strategic objectives, clarify their vision, effectively communicate that vision, and build best-in-class employee teams. By working with iB4e you get the full knowledge and experience of all our consulting and coaching engagements. 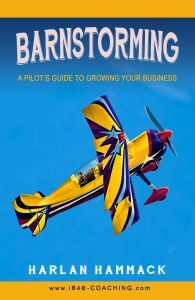 My new book is now available on Amazon.com: BARNSTORMING: A Pilot’s Guide to Growing Your Business. © Copyright 2017 iB4e Coaching | All Rights Reserved.